To coincide with the release of 6th studio album, “Lostfolk”, Gaz Brookfield makes a welcome return to The Portland Arms this autumn as part of his UK tour. 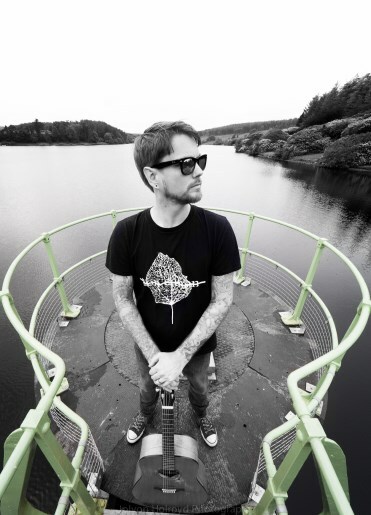 Gaz Brookfield is a solo acoustic musician based in Bristol. Since winning Acoustic magazine’s 2010 Singer Songwriter of the year, he has spent his time on the road, touring the UK and Europe. In this time he has shared the stage with the likes of The Levellers, Frank Turner, New Model Army, Nick Harper, Newton Faulkner, Miles Hunt, Seth Lakeman and many more, racking up thousands of gigs to date. Often playing as many as 200 gigs a year, Gaz’s relentless and never-ending tour schedule takes him to every corner of the country and beyond. The last few years saw Brookfield play at over 100 UK festivals, including Glastonbury, Beautiful Days, Bearded Theory and many more, firmly cementing him as a festival favourite for the future. Support from B-Sydes. B-SYDES (aka Ben Sydes) has been lucky enough to have shared stages with the likes of Frank Turner, Sam Duckworth, Chris T-T, Dave McPherson, Walter Schreifels, Ben Marwood, Jim Lockey and the Solemn Sun, Oxygen Thief, Rob Lynch, Gaz Brookfield and The Retrospective Soundtrack Players to name a few. Gaz’s last visit to The Portland was a busy affair on a weeknight so make sure you get your tickets in advance.